The one way credit card companies are differentiating themselves from their competition is through their rewards programs. Each has its own perks and benefits and depending on what a consumer is looking for determines which credit card offer is going to be more attractive. The only problem or potential set back are his credit scores. Generally speaking, anything above 660 can, for the most part, qualify you for some of the better rewards programs. 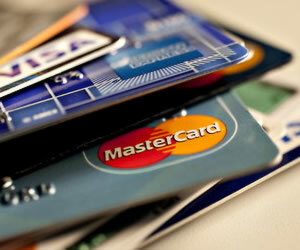 Be sure to pay the balance each month on any credit cards you currently have. At a minimum, you should be paying more than the minimum payment each month. When it comes to credit card debt, the sooner you’re able to get it paid, the less you’re going to pay in total. The interest adds up quickly. Not only that, but by paying your balance off each month (or paying a healthy percentage of it) lets the credit card companies know you’re on top of things. If you’ve filed bankruptcy or have other significant credit problems on your history, you might want to consider starting out with a secured credit card. Keep in mind there’s a huge difference in a prepaid debit card and a secured card. With a secured credit card, you’re guaranteeing your credit line with a matching balance. Your repayment history is reported to all three bureaus therefore providing a golden opportunity to rebuild after a financial setback. Be sure to dispute any inaccuracies on your reports. What shows up on one report might not show up on another; still, it’s important to approach it the way you do all your financial tasks: it’s all about the accuracy. So, all that hard work has paid off and you’re enjoying stronger credit scores and the rewards that come with that discipline. Now it’s time to choose the best card with the best rewards for your needs. There are many different rewards classifications: airline miles, hotel and resort points, general merchandise points and everyone’s favorite, cash back. How will you most likely use those rewards? If you travel a lot and have grown frustrated with the rising cost of gas, it might be a gas rewards credit card is your best option. On the other hand, if you like to go shopping, cash back is always a good choice, especially if you shop online. Remember too that you likely won’t have much flexibility – so choose carefully. Pay attention to how much that convenience will cost. An annual fee of $60 can quickly gobble up any points or rewards you’re earning if you only use your credit card sporadically. Instead, search for a credit card offer with no annual fee. They’re out there – in fact, they’re easier than ever to find and qualify for. Remember, the credit card companies are actively seeking your loyalty. Another important consideration: cash back programs the best type of reward program because they’re universal. You can use this kind of reward any way you choose: donate to charity, apply to your card balance or splurge on that new sofa or road trip. Plus, because it’s cash, your card company can’t really redefine cash and its value. These are just a few things to remember as you go about the business of applying for new credit cards. Carefully review the terms and conditions so that you are fully aware of just what an offer really presents. Assume nothing, double check everything and don’t forget the power of a strong credit rating.